Since the magic is happening in the plastic, I’m not going to say much more about the paper bag samples, other than to say they’re dropping water weight like a boxer before a big fight, and to advise you to store your bread in plastic if you want it to last longer at room temperature. As you can see, a large green bullseye has appeared on the centre of these slices. The samples housed in paper are still relatively soft but not bouncing back quite as fast when compressed; kind of like your skin when you’re really dehydrated. Its texture is still soft and spongy, just like day 1. With mold pockmarks making their way to the surface of the homemade slice, I’m impressed at how well this preservative-free loaf has held up. Denser than the other breads from the beginning, the bread machine slices are still slightly pliable; they feel meaty like a medium-rare grilled Portobello mushroom. 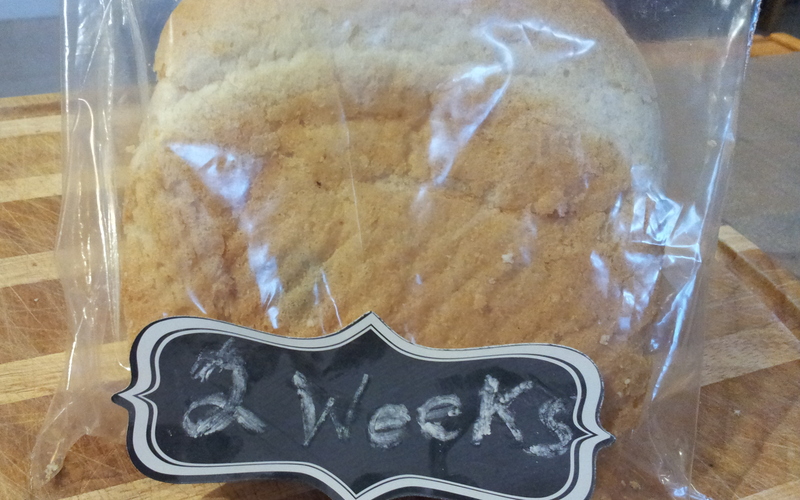 The preservative-free bread I bought at the Farmers’ market was the first one to show signs of mold. Between days 7 and 10 the colony was established and by day 11, spores were affixing themselves to the inside of the plastic bag. I’m guessing this sample is the reason my dining room (where I store the bags) is starting to smell musty and organic. 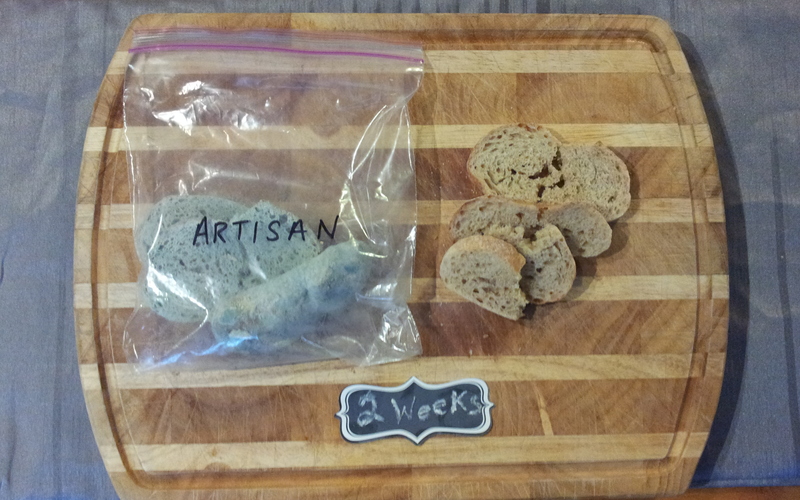 After two weeks, fluffy blue mold is covering almost every square centimetre of the artisan bread’s surface, making it look like a tie-dyed Easter egg. I’m loathe to touch it. It’s the only bread that didn’t stay soft; it’s crusty even in the plastic. Despite boasting “no preservatives”, Wonder Bread mysteriously outlasted all other types of bread, showing signs of mold three days later than the closest runner-up. Is there anything in this ingredient that would be a red flag to you? Ingredients: Unbleached wheat flour, water, sugar, yeast, soybean and/or canola oil, salt, natural sour flavour (bacterial culture), cultured wheat starch solids, soy flour, vinegar, soy lecithin. It looks like all four types of bread are harbouring the same type of mold, at least to the naked eye. 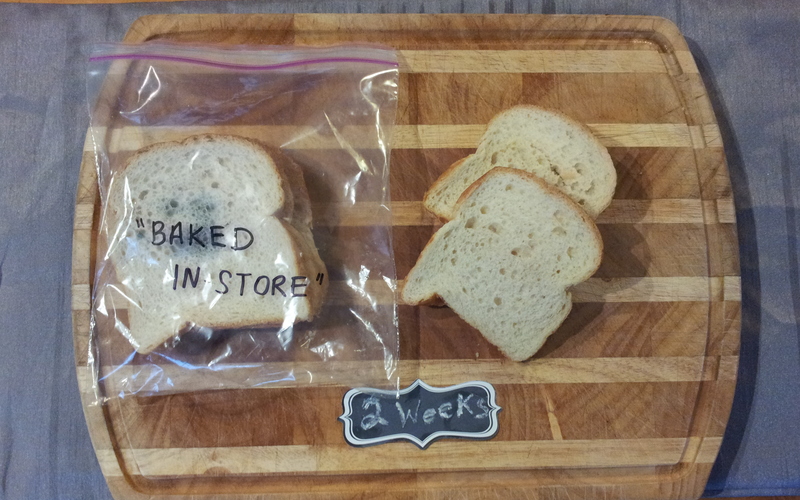 Not that it matters – if bread is moldy, I think a good rule of thumb would be: Don’t eat it! 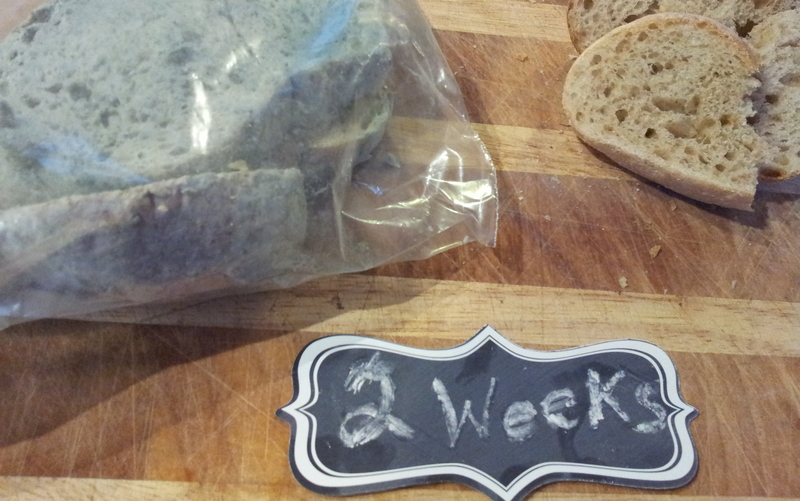 However, at least in cool, dry conditions, you have nearly a week before the first signs of mold appear in a typical loaf. It’s more the texture that’s affected. 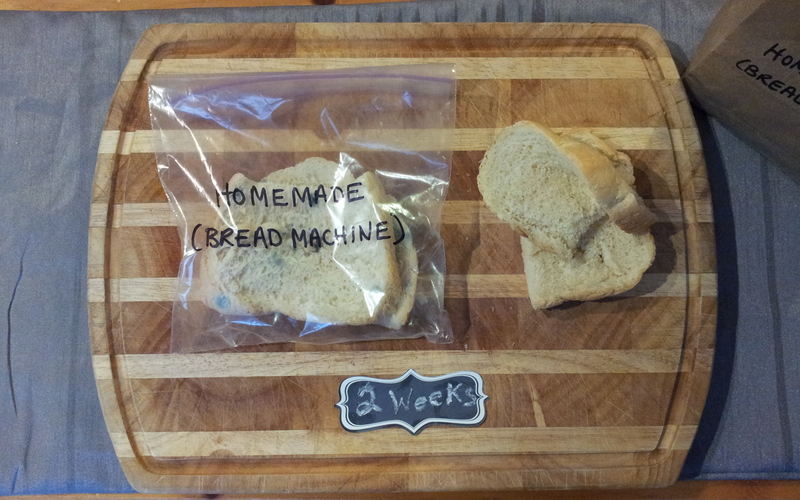 The experiment continues, perhaps for one more week…I’m curious as to when Wonder Bread actually gives in to the mold. Then, do I need to find a place to dispose of this biohazardous waste? 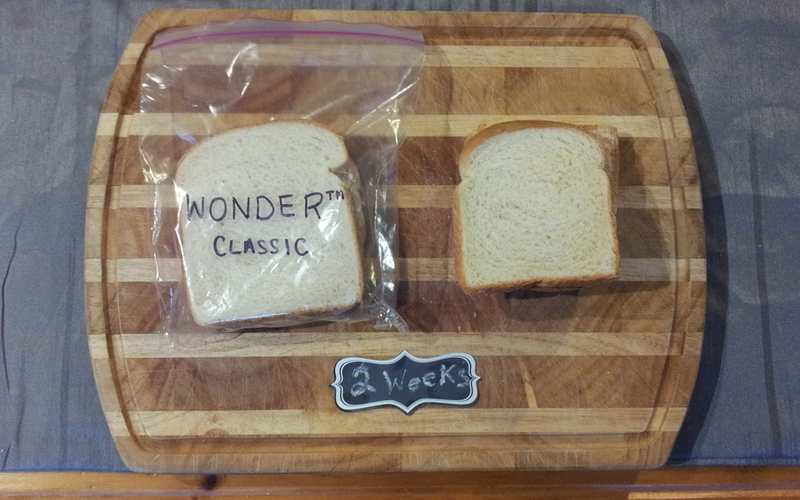 The experiment will continue until Wonder Bread sprouts spores. Will keep you posted.